The Parents Association will hold a Table Quiz in Nora’s Bar on Friday, 20th May at 9pm. All are welcome. The Parents Association held an Easter Raffle Draw on the 26th March at the Millbridge. €803 was raised and many thanks to all that bought lines and to the parents that helped out on the day. Kilmacrennan N.S. 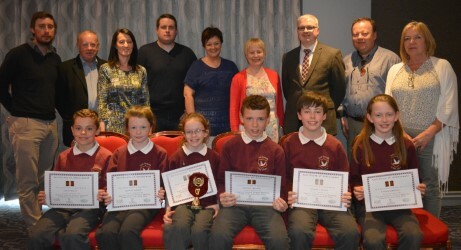 are the inaugural winners of the County Donegal Primary Schools Debating Championship. Congratulations to all involved on their success on the day. Ballylast N.S were their worthy opponents in the Donegal final, with both teams providing an entertaining final. Kilmacrennan N.S. successfully carried the motion that ‘Charity begins at Home’. 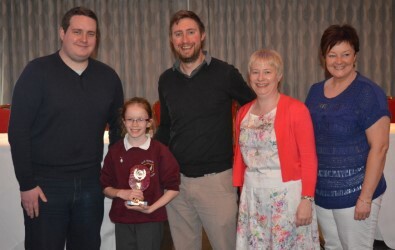 The school are now representing the county in the regional inter-county competition and the team, all comprised of fifth class pupils, enjoyed further success against a team from Kinlough N.S, debating the motion that plastic bags should be banned completely. Caitlin O Hara was selected as most impressive speaker on the day. 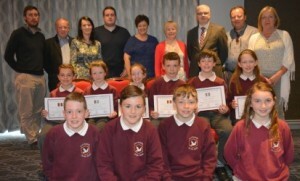 All roads now lead to the Regional Final in the Great Northern Hotel on Tuesday, 24th May where Ballinamore N.S, representing Carrick-On-Shannon Education Centre will provide opposition. Good Luck to all!